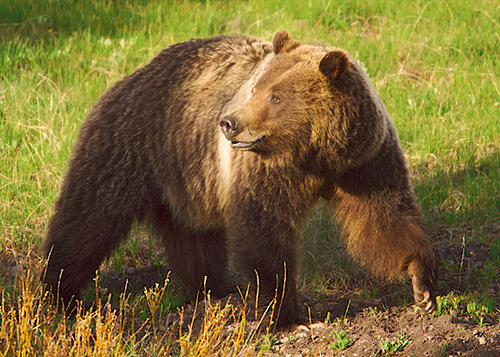 Endangered Species Act's 40th Birthday: Time for a Makeover? The Endangered Species Act’s 40th Birthday: Time for a Makeover? On December 28, 1973, President Nixon signed the Endangered Species Act (ESA) into law. And, as with most of us who approach a 40th-birthday milestone, it’s time for reflection: have the act’s past four decades of life been well spent? Highlighting the critical role biodiversity plays in maintaining a healthy, functioning space for all living beings, the ESA has often been described as the most important environmental law in our nation’s history. The purpose of the act is to protect and recover not only the imperiled plant and animal species but the ecosystems upon which they depend. In its first four decades, the law has prevented the extinction of 99 percent of the plants and animals it protects. Still, some would argue that the 40-year-old law is outdated and out of step with the economic realities of today, even actually causing more harm than good. Is it time for the Endangered Species Act to undergo a makeover? Under the ESA, species are listed as either endangered or threatened. Endangered means that a species is in danger of extinction throughout all or a significant portion of its range. Threatened means a species is likely to become endangered within the foreseeable future. Once a species is listed under the Endangered Species Act, the U.S. Fish and Wildlife Service must consider whether there are areas of habitat believed to be essential to the species’ conservation. Identifying critical habitat provides important information about the actual and potential distribution of a species and, as a consequence, has spared large tracts of land from development. The initial step towards guiding an endangered or threatened species back to health is the development of a recovery plan. The recovery plan outlines the actions required and is implemented in three phases: reducing or eliminating threats, restoring or maintaining self-sustaining wild populations, and removing species from the list because they have recovered to the point that they no longer need ESA protection. The bald eagle, our national emblem, is one notable success story. In the Lower 48, the raptor was once on the edge of extinction due to pesticides. After the bird was added to the Endangered Species List and DDT was banned, bald eagles bounced back and were delisted. 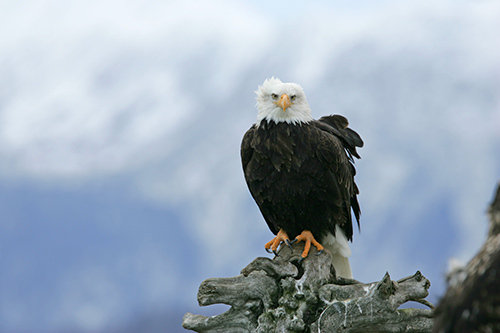 Bald eagles can now be seen in areas such as Yellowstone National Park and southern Alaska. But with more than 1,300 animals and 800 plants still on the threatened and endangered species list and only 23 delisted due to recovery, 30 down-listed from endangered to threatened, and 10 proposed for delisting due to recovery, critics of the ESA say such a poor success rate indicates the need for reform. Those disappointed with the act say its many bureaucratic layers stall job-creating timber and mining projects by foisting cumbersome restrictions on industry. And the yards of red tape that need to be navigated in order to be in compliance with the law divert some of the U.S. Fish and Wildlife Services’ conservation resources away from species at risk. In addition, they point out, the many legal petitions from conservationists to the Fish and Wildlife Service waste time and taxpayer money. There’s certainly no doubt that the ESA has been a magnet for litigation. For example, the federal government’s recent announcement that gray wolves in the western Great Lakes and Northern Rocky Mountains no longer require endangered-species protection to prevent their extinction and the proposal to delist grizzles are already being met with legal opposition from environmental groups. In what may be a harbinger of things to come, the ESA was undermined in favor of another plan last year in west Texas and east New Mexico. The dunes sagebrush lizard was on its way to being listed as threatened under the Endangered Species Act but instead is now to be protected by surveillance from local communities and oil and gas companies—rather than federal biologists. In contrast, ESA supporters say that without the protections afforded by the Endangered Species Act, an estimated 227 species would have gone extinct. They also reject the argument that the low percentage of species removed from the list due to recovery indicates failure. Most species have been listed for less than 20 years, and it took decades to drive them to the brink of extinction. Current estimates suggest a species requires an average of 46 years to recover from near extirpation. But even proponents of the act concede that there are cases where citizen-initiated lawsuits did a better job than the Fish and Wildlife Service of identifying the nation’s most-imperiled plants and animals. For example, a recent lawsuit regarding the burying beetle forced the service to do a better job of limiting the illegal take of protected species. That litigation also brought greater public awareness to why the 12-million-acre Nebraska Sandhills region is referred to by scientists as “the most important biologically intact focal area within the Great Plains.” As a bonus, that litigation assisted the U.S. Department of State in making its November 2011 decision to delay the Keystone XL pipeline until an alternative route circumventing the environmentally sensitive Sandhills area was developed. Like many of us on our 40th birthdays, it seems that the Endangered Species Act is realizing that its four decades of experience make it a vibrant, strong and relevant entity—but a little help from friends has never been more important. Do you think the ESA is in need of revision, due to today’s economic realities? Or is it still the nation’s best and strongest environmental law? We need to remember that virtually every species with ESA protection has stayed viable and in many cases rebounded. This in the context of thousands of other species going extinct at a rate and magnitude that earn our moment in time the distinction of “sixth mass extinction.” We need the Endangered Species Act, and we need more positive “mind share” around it. I whole heartedly agree with Robert. The laws governing extraction, by and large, facilitate the expansion of extractive enterprises. Given the technological advances in extractive technologies, it would seem prudent to revisit these laws so that they can appropriately regulate new approaches and provide for sufficient remediation of impacts. Re: Grazing and ESA, there is an intersection that seems at odds from a legal perspective. The grazing law(s) provide for private use of public lands by livestock operations. 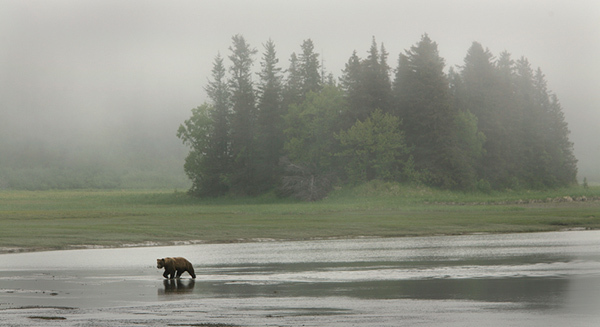 At the same time, public lands are seen as the places where imperiled species can be protected by law, regulations on use, and other forms of management. How can we adjust our approach so that leased grazing allotments aren’t subsidized on the backs of endangered species? At least the ESA has survived for this long (warts and all). Here in Canada our Species at risk Act (SARA) is only 10 years old and we are unsure that it will survive at all with the present government. Interesting article. I have two comments regarding the question of “Does the ESA require a makeover due to being “outdated””. This very well may be the case. However, IF a makeover is required due to a change in times I believe there are at least two other laws that should be addressed before the ESA, as they are significantly older and therefore more outdated. The first is the Mining Act of 1872 which governs much of the mineral extraction and mining activity in the west. The second is the Taylor Grazing Act of 1934 which was signed into law by then President Franklin D. Roosevelt, If the ESA is outdated these are 100% obsolete. My second comment is that much of the litigation associated with the ESA can be directly related to political interference from the local, state or federal level. Many ESA listing decisions are biased as a result of legislators and governors interfering with the process. The gray wolf has been delisted as a result of back room deals with state wildlife agencies and legislators and governors who see the wolf as a competitor for who gets to kill the elk – humans or wolves, and who gets the beef, humans or wolves. This is politics, not biology. Take the politicians out of the picture and the ESA rulings are straight forward. I am not naive, I understand that politics will always play a roll in these decisions, but they do not have to play the final role as so often appears to be the case. My point is that the argument that the ESA is loaded with litigation is valid but not completely accurate. The amount of litigation is very closely tied to the amount of political interference that the decision making attracts. More interference, more litigation. Sad day for the 40th Birthday! Have we reduced biodiversity loss? Do we know what species are endangered or threatened beyond common and well known species of plants and animals? Do we know what we have of all species of animals, plant, fungi or microorganisms extant in global biodiversity beyond what we know of common or well known species in our backyards? Yes, the Endangered Species Acts need a complete makeovers for slowing biodiversity loss, identifying the state of all species in our backyards, and protecting and rebuilding communities of living organisms beyond just big, beautiful, economically and socially important species. if the ESA needs to be overhauled it needs to be strengthened to include post delisting protections. The monitoring aspects of the Act are inefficient and hard to enforce. The delisting of grey wolves has made a mockery of this law. As another poster wrote, the Act needs to protect whole ecosystems and to include protections for predators or other species that are at risk because there are no state laws to protect them from special interests. Candice, being in South Africa I can only judge from what I’ve read in your contribution. My immediate reaction is that the ESA serves its purpose, but, like so many laws, the implementation and enforcement (thus the human aspect) could diminish its potential value. If it ain’t broke, don’t fix it. Of course, there are many, especially those with connections and interests in the extractive resource industries that would openly welcome a reconsideration of this important act. I also agree with Ken. I think the lobbying power behind the o&g industry would take over and leave the ESA with little to no backbone. Especially here in Colorado. I like what you wrote here, but I would also argue that it hasn’t gone far enough to promote the protection whole ecosystems. Migratory birds are still rapidly losing habitat, because of their infrequency, much of their resting places have been developed. The bald eagle has been saved, but only in a small portion of it’s original range…which brings me to my second point, original range. Where do we measure populations? Where they are seems to be the case, but I would argue that their habitat should be measured to where they have been historically or where they should be. Original range should be our benchmark for the protection of species. Finally, it is enforcement that worries me. The law has not been enforced as it should be. There are many factors and too many details to go into there, but it is a great concern of mine, and should be for anyone who cares about any particular piece of the entire ecosystem.